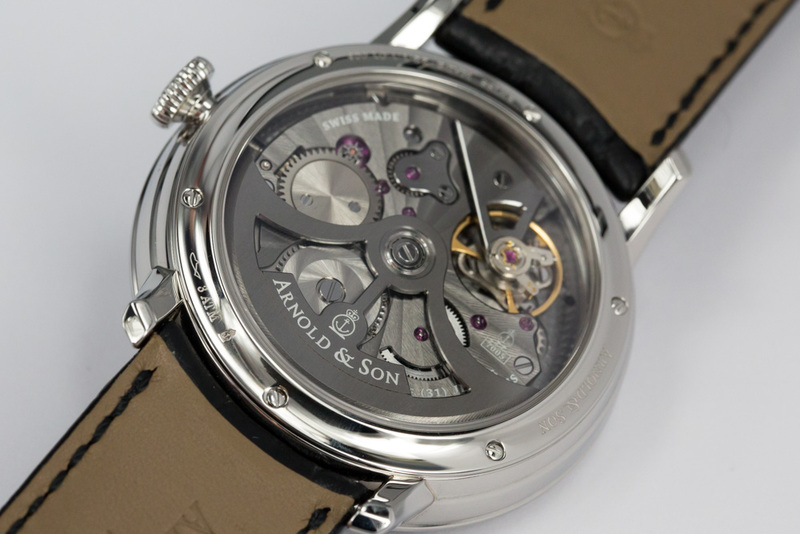 While on a recent trip to the watchmaking hub of La Chaux-de-Fonds, I stopped by the Arnold & Son manufacture and HQ to check out one of their new releases that will officially be presented next month during Baselworld 2015, the DSTB in stainless steel. With the original version in red gold commemorating the 250th anniversary of Arnold & Son (which you can see in my Arnold & Son Baselworld 2014 report ) being a personal favorite from the brand for the way it highlights the dead-beat or "true beat" seconds mechanism, I was pretty stoked to discover a version that was a bit more subtle and void of any anniversary markings. 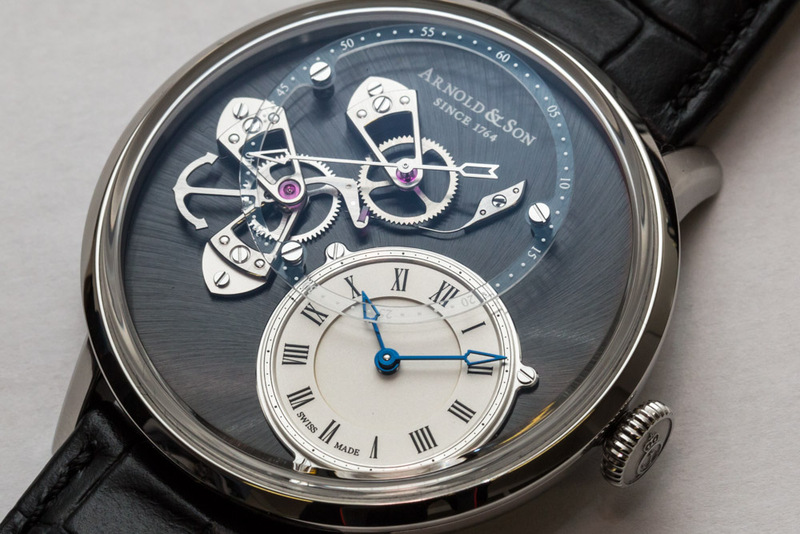 The true beat seconds feature has become something of a signature complication for Arnold & Son, though this execution is definitely the one that puts it at center stage. 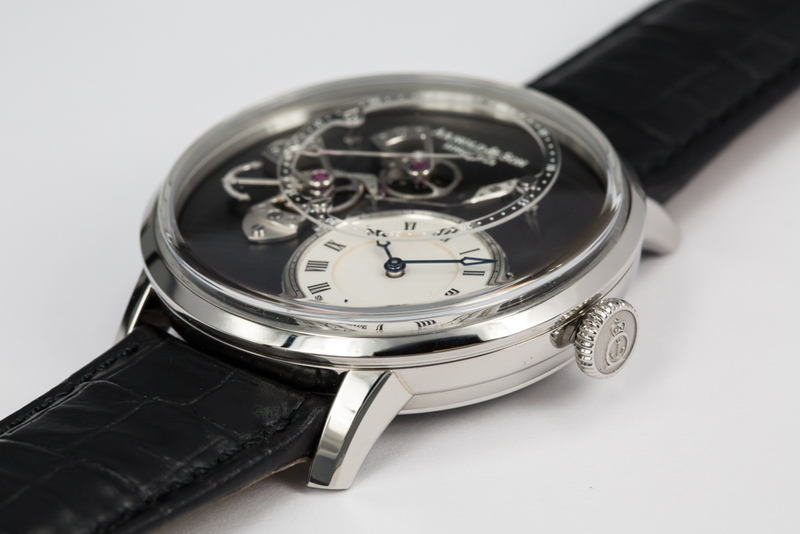 The DSTB (short for Dial Side True Beat) places the true beat seconds mechanism on the dial portion of the watch, with the off-centered seconds hand occupying quite a bit of dial real estate and read on an applied sapphire glass with white markings to contrast against the dial plate's black ADLC surface. I wish I had a video demonstrating the DSTB, as there's something quite hypnotic about the single pallet-lever's constant retrograde "clicking" motion with its anchor-shaped counterweight. 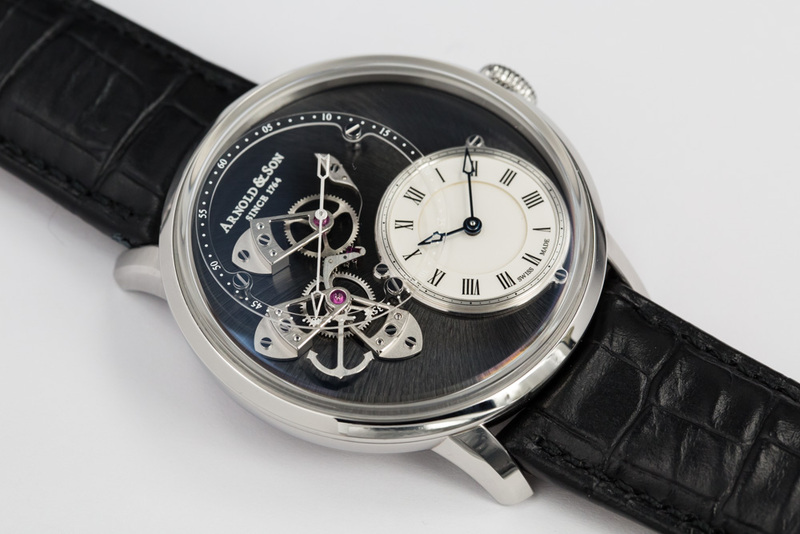 The movement is the in-house manufactured A&S6003 automatic caliber, with a power reserve of 50 hours and the kind of finishing you'd expect in hand-decorated movement including beveled and polished edges and mirror-polished screw heads, etc. The bridges and manipulate are finished with a more modern NAC grey coating. 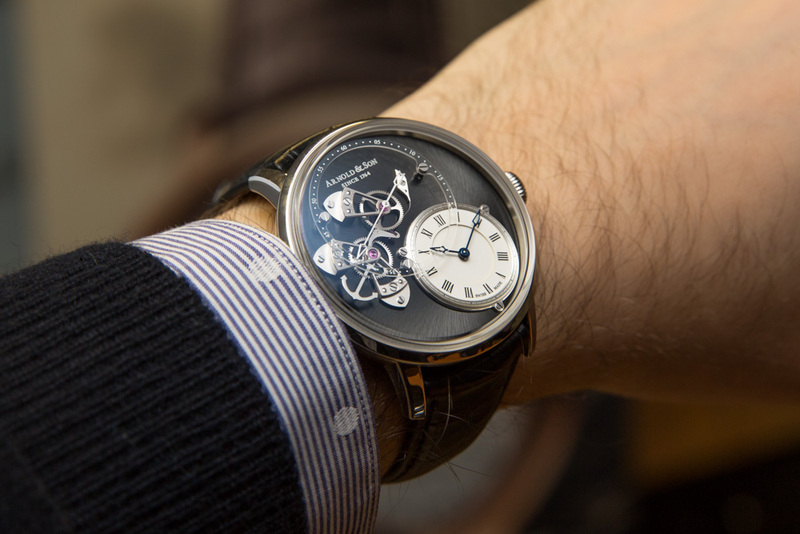 The 43.5mm case may be on the larger side for some, especially with its raised and cambered sapphire crystal. But as the case tapers down towards the wrist, it honestly wears more like a 42mm. The DSTB in steel will be limited to 250 examples. More to come during/after Baselworld. Next Topic: Can you tell what's wrong with this watch?